This healthier vanilla mug cake takes less than 5 minutes from start to finish and is so fluffy and delicious! It only has a handful of basic ingredients and can easily be adapted to be completely gluten, dairy, & refined sugar free too! Well, thank goodness for mug cakes, because these babies only take a few minutes to throw together and are the perfect quick treat to satisfy your sweet cravings. Best of all, this delicious dessert doesn’t require the use of a mixer, cake pans, or oven either. Just a mug, microwave, and 5 minutes of your time. Can a homemade, from-scratch dessert get better than that? You better believe I’ve already created a chocolate version, so for all my vanilla people, this one’s for you! Now, you could make this vanilla cake and just enjoy it as is, but honestly that’s kind of boring. To me, vanilla is like a blank canvas in which to add other good stuff, amiright? I included the basic vanilla cake recipe along with three flavor variations—vanilla cake with chocolate frosting, strawberry shortcake, and funfetti! I love vanilla cake with strawberries, but I’m also a sucker for a good vanilla cake with chocolate frosting, so I had to include those variations. The kids love all things fun and colorful so they enjoyed their funfetti version made with naturally dyed sprinkles ! What’s your favorite vanilla cake variation? Let me know in the comments below! This simple dessert is perfect for individual servings and takes less than 5 minutes from start to finish! I included a gluten, dairy, and refined sugar free variations as well! Mix together coconut oil, cocoa, and sweetener. Frost cooled mug cake as desired. For topping—whip 2–3 tablespoons chilled coconut cream or heavy whipping cream with ½ teaspoon honey , maple syrup or sugar. 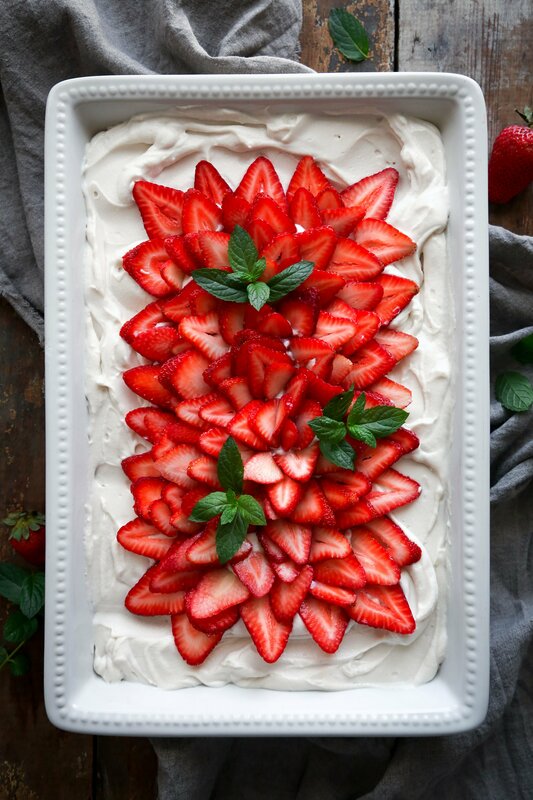 Top with whipped cream and additional fresh berries. In a mug, blend together flour, baking powder, and salt. Add sweetener, oil, and vanilla. Pour in a little milk and mix until smooth. Add the rest of the milk and mix just until well blended. Be sure to get the bottom corners as flour pockets tend to get stuck in the crevices. Place mug into the microwave and heat at 50% power/half power for 90–120 seconds. This helps the cake to stay tender and not get chewy. If you don't have a way to change the power, heat for 45–60 seconds. Keep an eye on it and take it out as soon as the cake has risen and is top is firm to the touch. Time may vary depending on the strength of your microwave. If it is not done in the amount of time listed, continue to cook in 15–20 second intervals until the cake is cooked. For flavor variations, mix fruit or sprinkles into the cake batter before microwaving. Fresh fruit may take a little longer because of the added moisture. *I doubled the recipe in the mugs pictured. This is a great recipe and one of the few mug cakes I’ve tried that resulted in a delicious treat! This has been my go-to afternoon pick-me-up with a cup of coffee for a few days now and each time I get a great result. Thank you! That makes me so happy to hear, Lauren!! Thanks for taking the time to leave feedback and for giving the recipe a try! I’m really glad you’re enjoying these mug cakes as much as I do. They’re really a lifesaver when you need cake, like, right now, haha!! I’ve never successfully been able to make a mug cake…this time is no different. Sigh. It didn’t rise and stayed goopy. I’m sorry yours didn’t turn out, Remy. If you’ve tried several different recipes without success, I wonder if your microwave could possibly be the problem? It shouldn’t be gloopy after it’s cooked thoroughly. It may just need to be cooked for a little longer. I keep microwaving in 15 second increments until the center is well cooked. I hope you don’t give up on mug cakes! They’re such a quick and delicious treat! Umm, this looks incredible!!! I need to make this recipe, I LOVE mug cakes! YUM!! These look amazing! Love that they are healthier too! Omg they look amazing. I have a sweet tooth, and I totally understand the late night cravings. These ideas are fabulous and I am gonna make some to satisfy my craving.Thanks for sharing! These mug cakes look cute as well as delicious! These would make an awesome dessert to serve at a summer BBQ or dinner party, especially when presented in festive mugs. 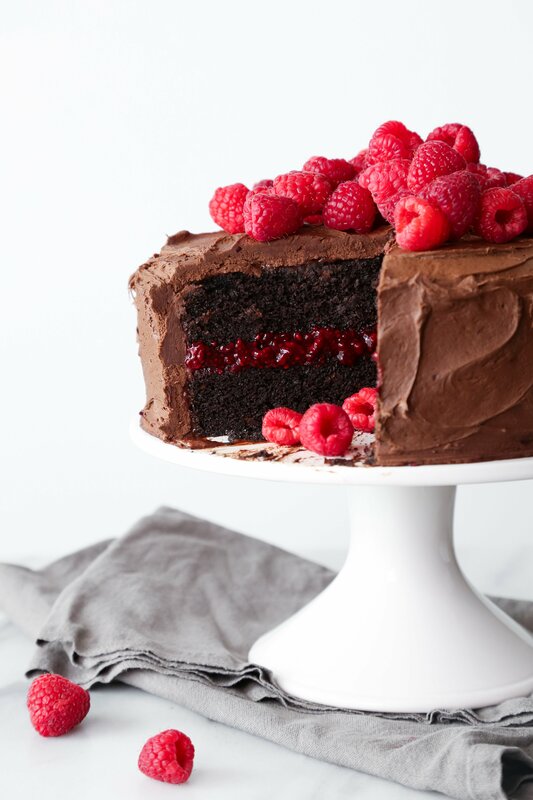 I definitely plan to make these cakes soon! Just brilliant, I love these for a late night sweets craving! OH gosh these are heavenly. Your photography is always perfect! Aw thank you, Summer! I appreciate the encouragement! Oh my goodness these look amazing! I love mug cakes because I’m one of those people that ALWAYS has a sweet tooth and I can treat myself while still practicing portion control haha. Adding this to my Pinterest. Thanks for pinning, Nicole. Have a great day! Okay, I definitely NEED to try these out! I already pinned these to 3 different boards! 🙂 Thank you for sharing! Yay! Thank you for pinning Petra! Have a great week! Love the minimalist look and styling of your blog and photographs. Thank you so much Mala. Your feedback really means a lot to me. I hope you have a great day today! Lol, thanks for the smile Bianca I appreciate your kind words. Oooo these look so delicious! I’ve always thought this was such a neat idea especially for little tea parties. That sounds fabulous! These would make nice tea party cakes for sure. Have a wonderful week Louann! Now you’ve done it. I have to eat a whole lot more cake. That vanillia sheet cake looks amazing! These look so amazing. And the fact that they are a healthier version makes me excited! I’ve never tried mug cakes before but I really want to after reading this post! Thanks for sharing! Thanks Desiree! Please let me know how like them if you try them out. That shot of the mug cake slightly spilling out of the mug…so epic! We actually made a mug cake at my office yesterday and my coworkers were floored! They were astounded that you can make a cake in a mug in 2 minutes. Love this fun, easy idea! Haha, thanks Nisha! 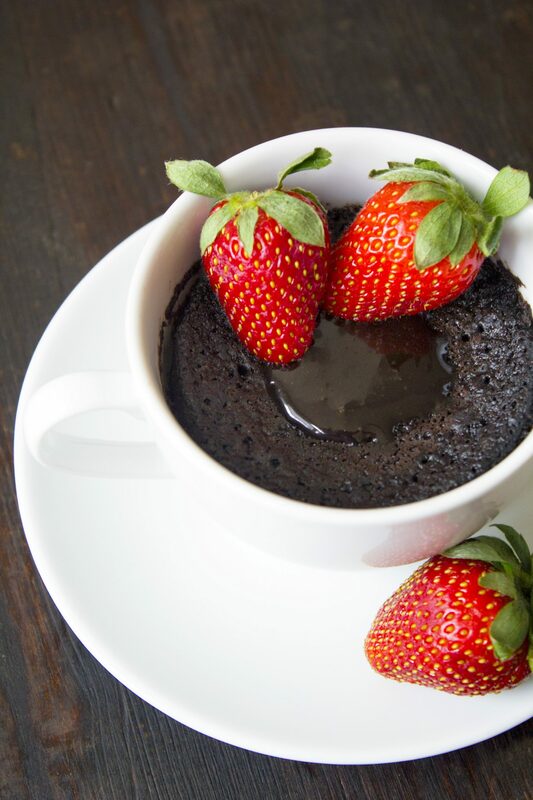 I was surprised too, when I first heard of a mug cake, that you could make a quick and delicious homemade dessert in so little time! They really come in handy for those quick sugar fixes!